<p class="canvas-atom canvas-text Mb(1.0em) Mb(0)–sm Mt(0.8em)–sm" type="text" content="Spoilerphobes assemble! Avengers: Endgame directors Joe and Anthony Russo issued that rallying cry on Twitter earlier today after four minutes of footage from the final chapter in the current phase of the&nbsp;Marvel Cinematic Universe&nbsp;leaked online. It was a shocking, and entirely unwelcome, breach in the super-team’s otherwise formidable security apparatus. Surreptitiously recorded on an iPhone during what appeared to be a theatrical showing of the completed film (the location hasn’t been confirmed,&nbsp;but the reported presence of Arabic subtitles&nbsp;suggest it might have been somewhere in the Middle East), the spoiler-heavy footage was uploaded to YouTube and Reddit — among other social media platforms — and instantly set off alarm bells at Marvel Studios and amongst its passionate fanbase.” data-reactid=”22″>Spoilerphobes assemble! Avengers: Endgame directors Joe and Anthony Russo issued that rallying cry on Twitter earlier today after four minutes of footage from the final chapter in the current phase of the Marvel Cinematic Universe leaked online. It was a shocking, and entirely unwelcome, breach in the super-team’s otherwise formidable security apparatus. Surreptitiously recorded on an iPhone during what appeared to be a theatrical showing of the completed film (the location hasn’t been confirmed, but the reported presence of Arabic subtitles suggest it might have been somewhere in the Middle East), the spoiler-heavy footage was uploaded to YouTube and Reddit — among other social media platforms — and instantly set off alarm bells at Marvel Studios and amongst its passionate fanbase. <p class="canvas-atom canvas-text Mb(1.0em) Mb(0)–sm Mt(0.8em)–sm" type="text" content="The content of those four minutes won’t be revealed here, but they involve some major revelations from Endgame’s climax. 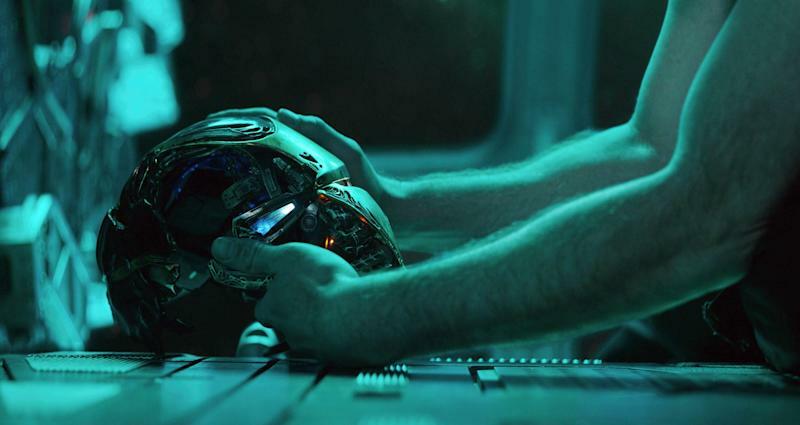 Meanwhile, a separate spoiler leak has outlined some of the events of the film’s first act.&nbsp;Select South Korean audiences saw 20 minutes of&nbsp;Endgame at a press event in Seoul, and extensive summaries quickly went up on Reddit.” data-reactid=”23″>The content of those four minutes won’t be revealed here, but they involve some major revelations from Endgame’s climax. Meanwhile, a separate spoiler leak has outlined some of the events of the film’s first act. Select South Korean audiences saw 20 minutes of Endgame at a press event in Seoul, and extensive summaries quickly went up on Reddit. <p class="canvas-atom canvas-text Mb(1.0em) Mb(0)–sm Mt(0.8em)–sm" type="text" content="The Russos’ bosses at Disney used Mouse House muscle as well, rushing an all-new featurette onto YouTube that caught viewers up on the Avengers story so far, and then showed off some never-before-seen moments from Endgame in order to keep fans from seeking out the moments they weren’t supposed to see.” data-reactid=”27″>The Russos’ bosses at Disney used Mouse House muscle as well, rushing an all-new featurette onto YouTube that caught viewers up on the Avengers story so far, and then showed off some never-before-seen moments from Endgame in order to keep fans from seeking out the moments they weren’t supposed to see. <p class="canvas-atom canvas-text Mb(1.0em) Mb(0)–sm Mt(0.8em)–sm" type="text" content="Even before the Russos issued their statement, fans took it upon themselves to preserve the integrity of Endgame, castigating those who helped spread the major secrets that have been revealed in the past few days. Some have even vowed to leave social media entirely if that’s what it takes to walk into the theater completely spoiler-free.” data-reactid=”30″>Even before the Russos issued their statement, fans took it upon themselves to preserve the integrity of Endgame, castigating those who helped spread the major secrets that have been revealed in the past few days. Some have even vowed to leave social media entirely if that’s what it takes to walk into the theater completely spoiler-free. Avengers: Endgame footage have been leaked and its all over the internet, even here, on Twitter. There are videos from major fight scenes in the movie all over Twitter too. MAJOR spoilers are everywhere now so beware, folks. Post any of the leaked Avengers Endgame spoilers in any reply to a Tweet of mine and you’re blocked. <p class="canvas-atom canvas-text Mb(1.0em) Mb(0)–sm Mt(0.8em)–sm" type="text" content="For their parts, the Russos aren’t demanding that people delete their Twitter accounts. Instead, they simply hope that audiences will demonstrate the same kind of common courtesy that the Avengers (sometimes) show towards each other. “When you see Endgame in the coming weeks, please don’t spoil it for others, the same way you wouldn’t want it spoiled for you,” their letter says, in closing. “Remember, Thanos still demands your silence.” Put another way, there’s a good reason why the Spoiler Stone isn’t one of the Infinity Stones.” data-reactid=”37″>For their parts, the Russos aren’t demanding that people delete their Twitter accounts. Instead, they simply hope that audiences will demonstrate the same kind of common courtesy that the Avengers (sometimes) show towards each other. “When you see Endgame in the coming weeks, please don’t spoil it for others, the same way you wouldn’t want it spoiled for you,” their letter says, in closing. “Remember, Thanos still demands your silence.” Put another way, there’s a good reason why the Spoiler Stone isn’t one of the Infinity Stones. <p class="canvas-atom canvas-text Mb(1.0em) Mb(0)–sm Mt(0.8em)–sm" type="text" content="Avengers: Endgame opens in theaters on April 26. Visit Fandango for showtimes and tickets.” data-reactid=”38″>Avengers: Endgame opens in theaters on April 26. Visit Fandango for showtimes and tickets. <p class="canvas-atom canvas-text Mb(1.0em) Mb(0)–sm Mt(0.8em)–sm" type="text" content="Want daily pop culture news delivered to your inbox? Sign up here for Yahoo Entertainment &amp; Lifesyle’s newsletter.” data-reactid=”44″>Want daily pop culture news delivered to your inbox? Sign up here for Yahoo Entertainment & Lifesyle’s newsletter.